Growing up, my God Mothers mother, Gloria “Glo”, lived across the street from me. She is a feisty old lady, and insisted I went to church with her every sunday. I grew up with them … a wonderful, loving, soulful, caring family. They were always there for me when I needed to get away, or when I felt like my family wasn’t my own. I learned a lot of really good southern recipes from Glo, and my God Mother. Just one of those dishes was Oxtails with gravy, mmmmm!! 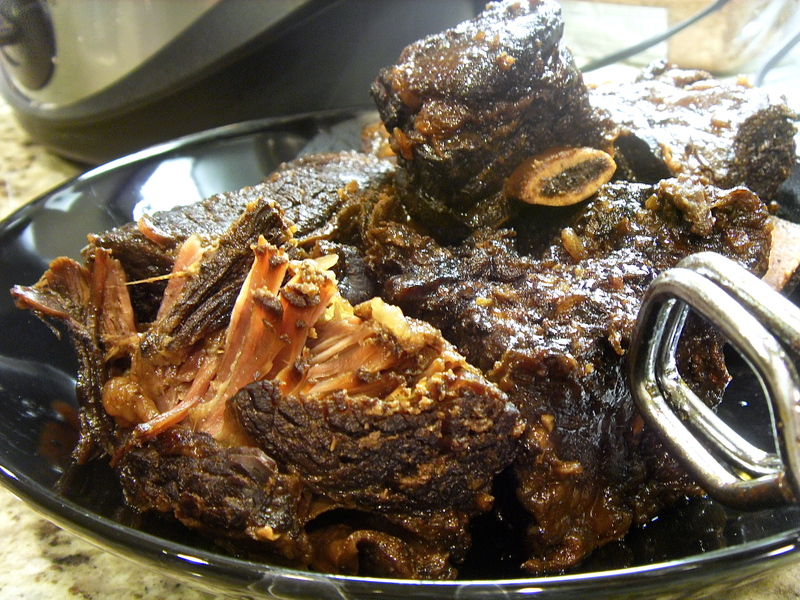 I don’t know many people that have ever made Oxtails before, and most people I know dont know what they are. Oxtails are just that, the tail of a cattle. Beef. Meaty and tender when cooked properly, buttery and rich, with a lot of flavor. They’re actually pretty healthy once you trim down the fat. After rinsing the meat off with cool water, trim excess fat off. 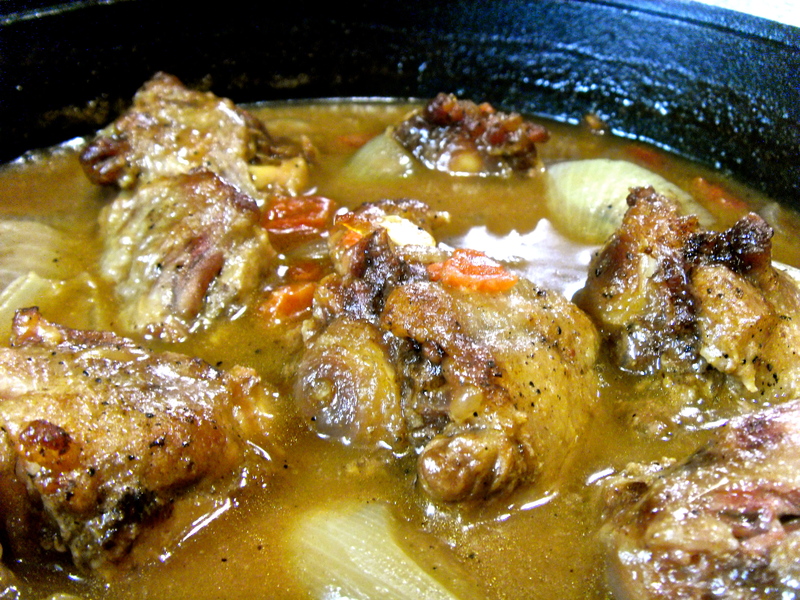 Add oxtails to a cold bath of water mixed with the 4 tablespoons of vinegar, rinse them very well. Add just enough oil to cover the bottom of your pot and heat until glassy. Season oxtails with seasoning salt, pepper, and a little garlic and onion powder. Add them to the pot and brown on all sides. 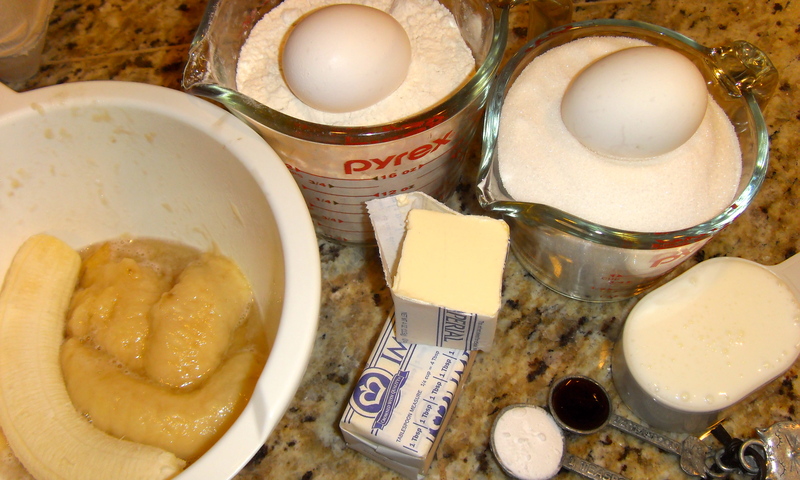 You won’t be able to get them all done in one batch, so take them out and set aside as they’re finished. When all of the meat has been seared set it aside. Add a little of the broth to your pot and scrape the flavor from the bottom, add the rest of the broth and bring to a boil. 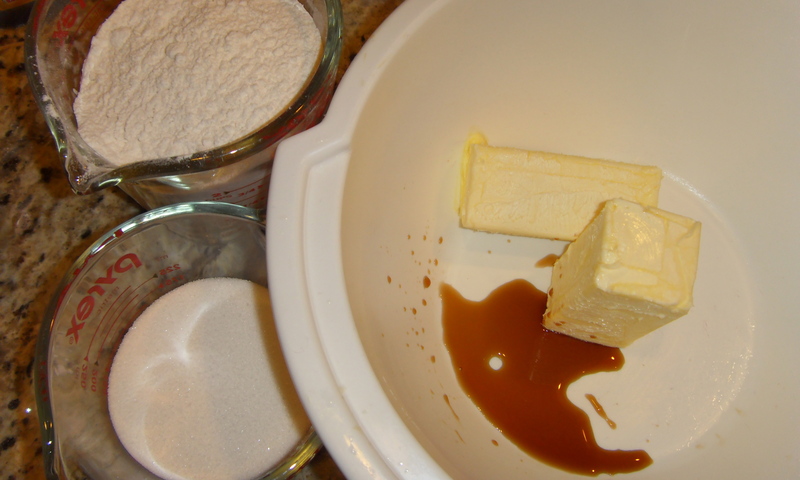 Add one tablespoon of flour and whisk continuously until all lumps are gone, repeat with second tablespoon. 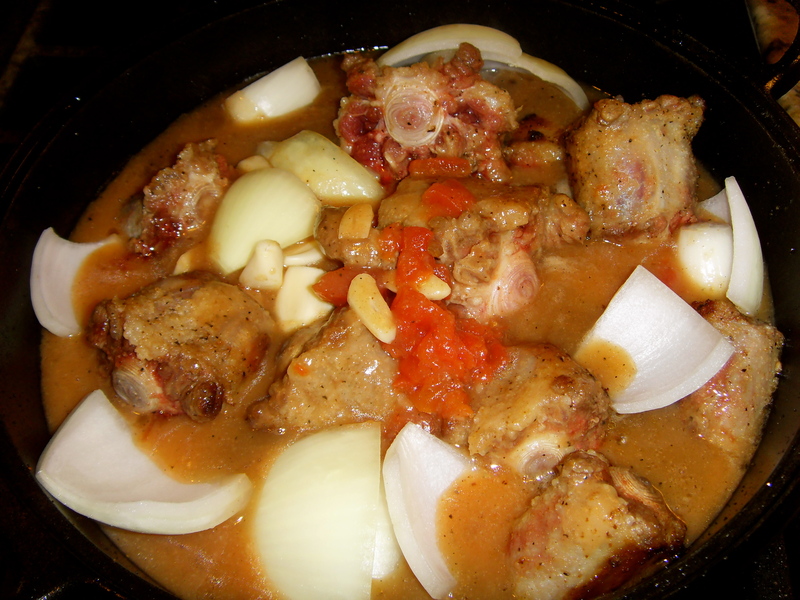 Add whole garlic cloves, quartered onion, and tomatoes, then add the oxtails back to the pot. 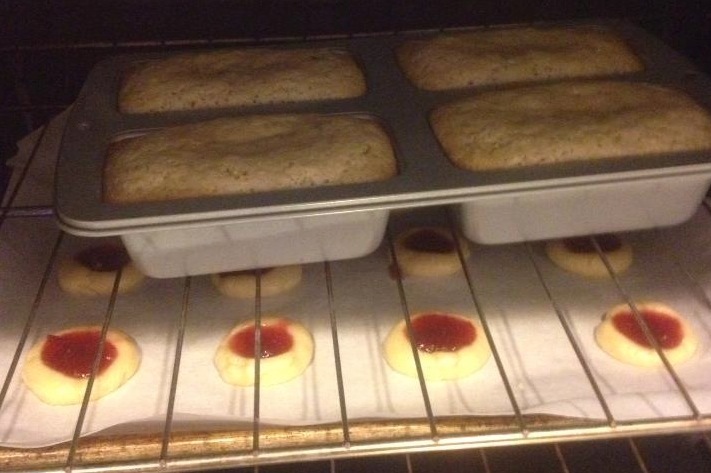 They wont be fully covered in liquid, but they’ll create some of their own while cooking. 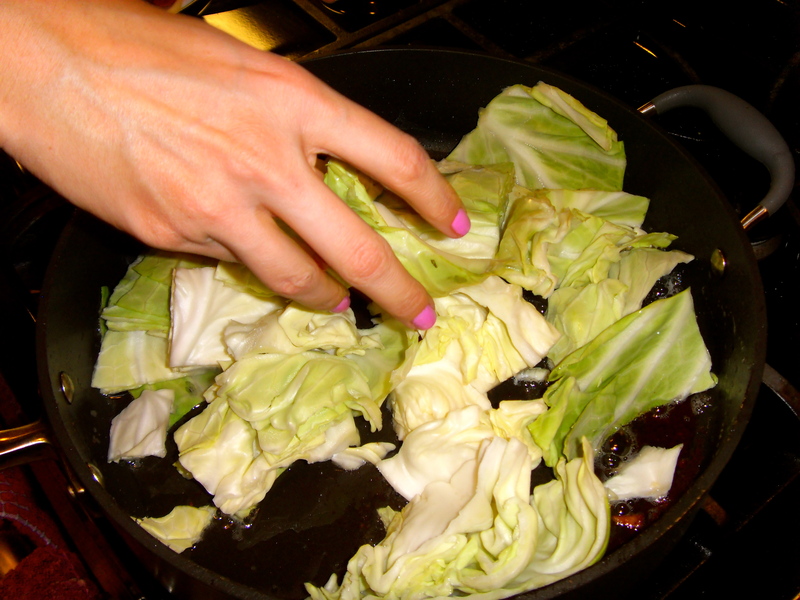 Place a lid on the pot, and put in a 350° oven for 2 1/2-3 hours. 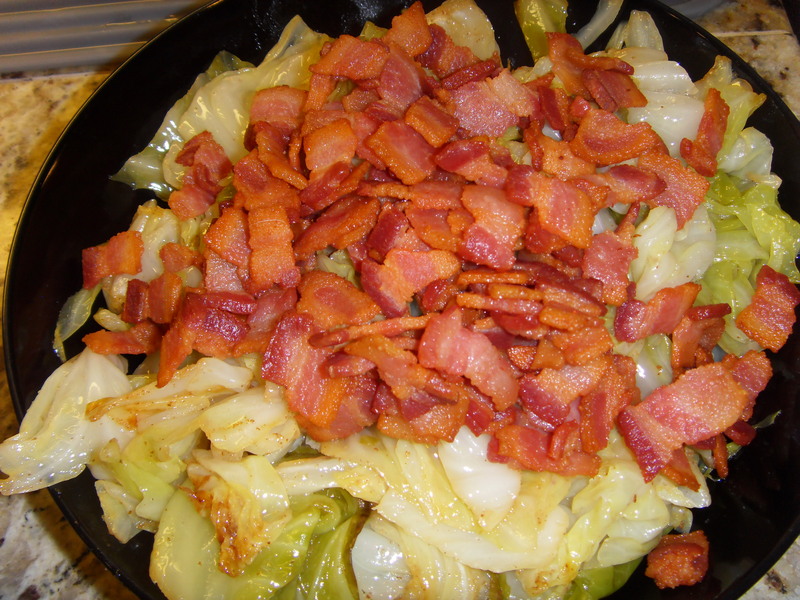 I serve mine with rice on the side, and steamed cabbage, which will be my next post. 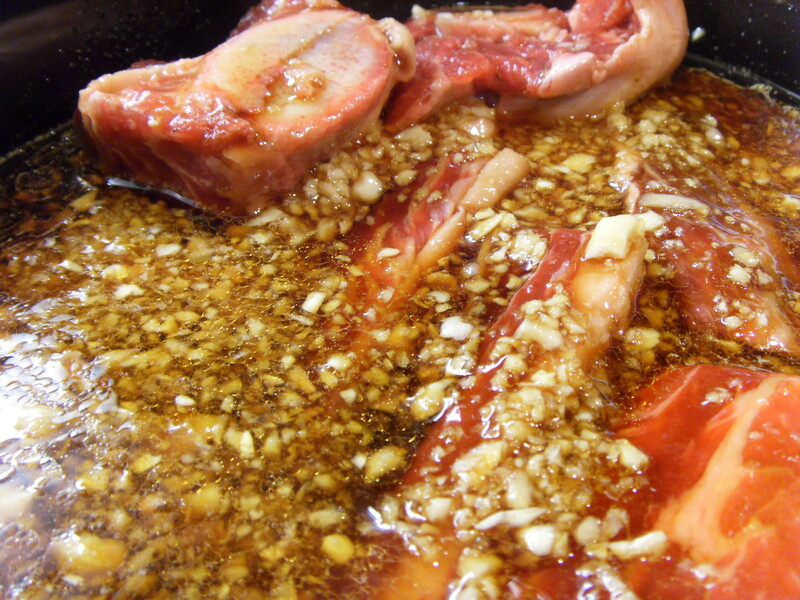 In a deep sauce pan heat about 2 tablespoons of oil on med-hi until it becomes glassy. 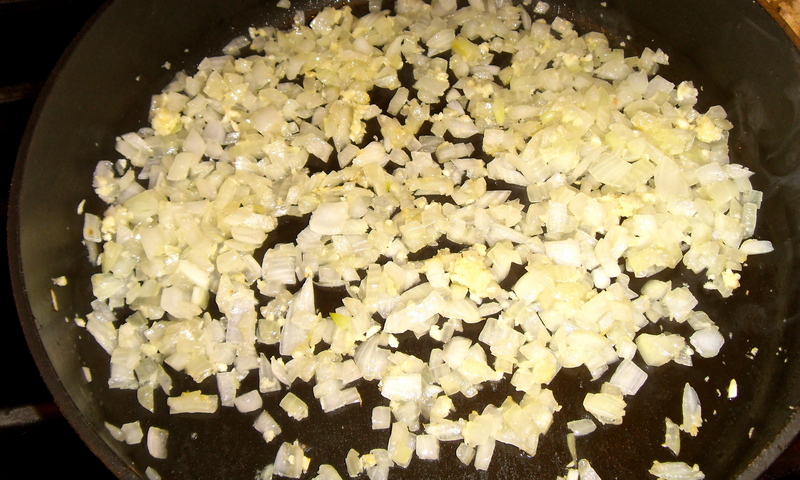 Add diced onion to the pan and stir until all of the onion is covered. Let that cook for about 2min then add garlic. I prefer to start my onion and garlic before the meat, so the flavors have room to open up. You can start your meat first if thats what you prefer. 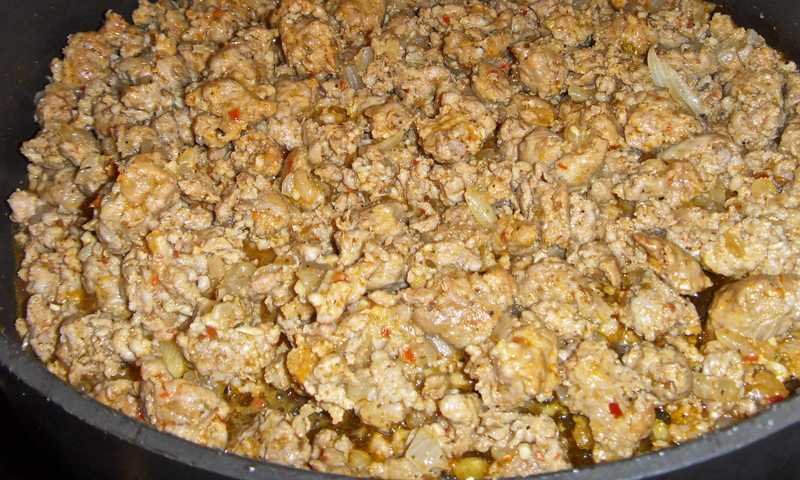 After about a minute, start to add the sausage, pulling it into pieces as you add it to the pan. Raw sausage doesn’t break up as easily as ground beef/turkey/chicken do, but it will be easy to break up once it starts cooking. 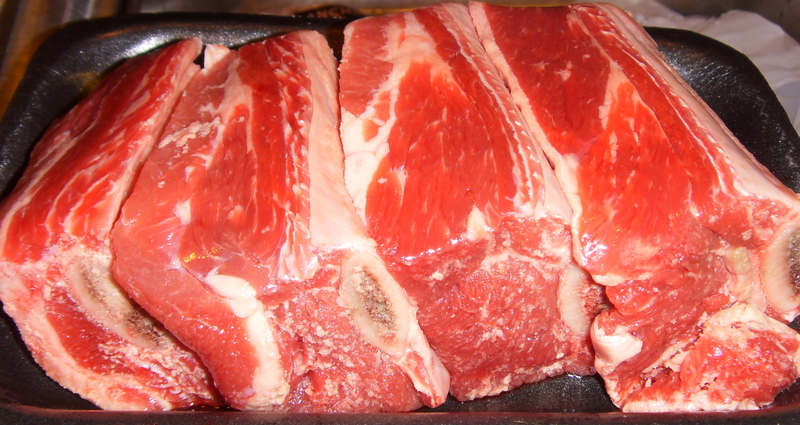 Add all of the meat, sprinkle with some salt and pepper, and turn the heat down to medium. Let the meat cook until its brown, about 10min – stirring every so often, making sure to break up the bigger chunks of meat with your spoon. 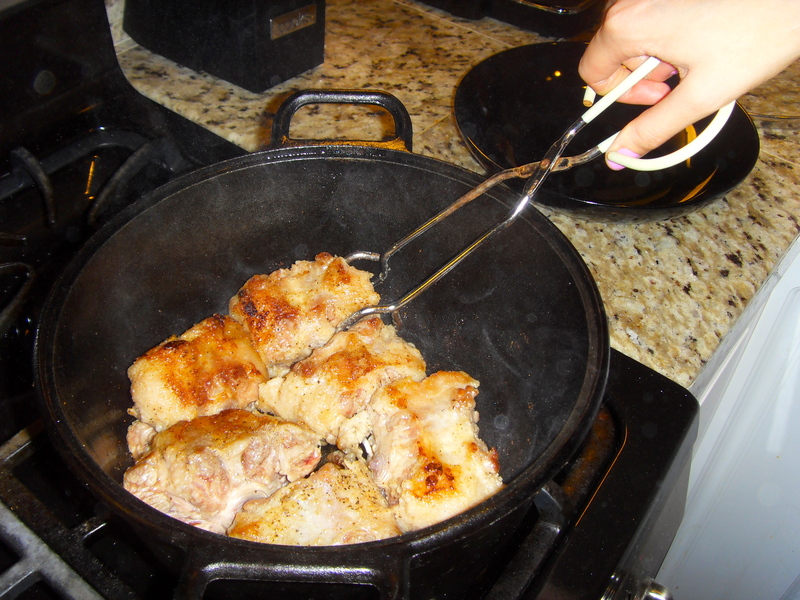 After the meat is brown, let it sit still for about 2min so you can skim the oil from the sausage off of the top. 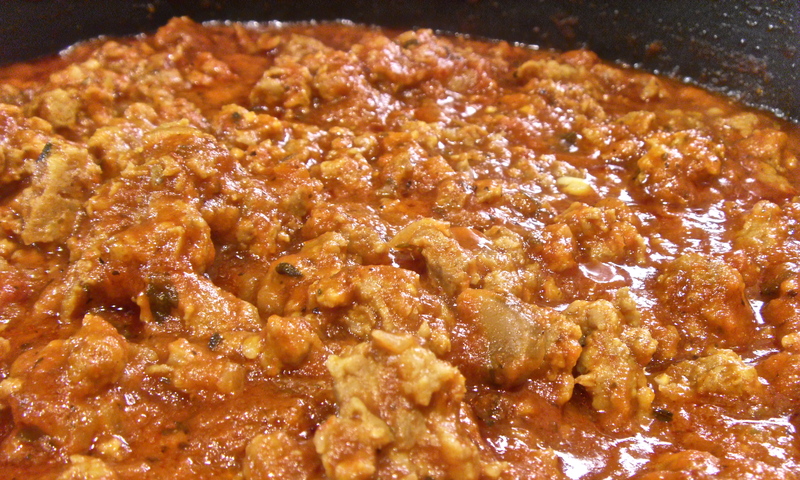 Add tomato paste, dried spices, and mix until meat is coated well. Add one jar of store bought spaghetti sauce, whatever kind you like, and mix well. 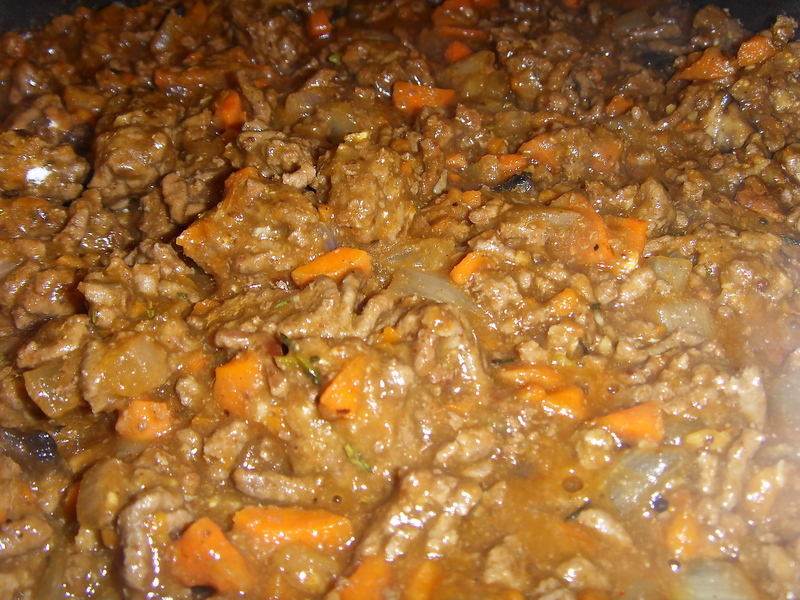 Turn the heat down to a low simmer, cover, and let cook for about 3 hours. The reason I suggest buying more than one jar of sauce is, the longer you cook this the less moisture there will be. So if the sauce gets to be more like a ragout than you want, add more spaghetti sauce. Or, you could even use a can of crushed tomatoes. After this is all cooked down, I make the pasta and usually some garlic bread. Slather the inside of a french baguette with butter and a garlic/herb blend, pop that sucker into the oven (lower middle rack) under a high broiler for 5min and you’re set! One box of that veggie pasta serves about 4 people, and you will definitely have leftovers from the sauce. Freeze it if you don’t plan on eating it within the next week or so. 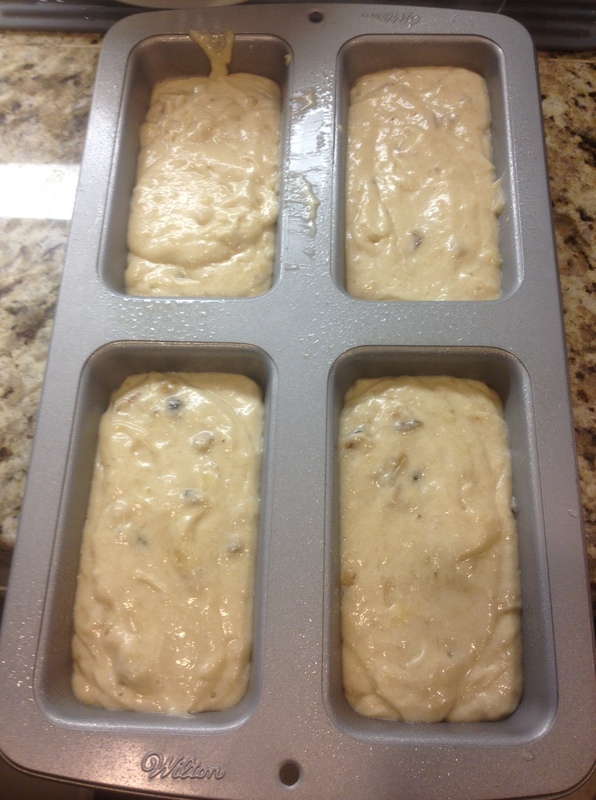 Remember, cool all leftovers to room temp before freezing or refrigerating. Dont want to grow any bacteria! Ever since I can remember, I’ve hated PB&J. My twin brother, on the other hand, loves it. I prefer PB&B (bananas), or PB&N (nutella). When we were 7 yrs old, we were adopted by our aunt and uncle which forced a relocation to the State of Washington – in the middle of nowhere – to their Bed and Breakfast. Our new parents didn’t know much about us, and one day tried to feed me peanut butter and jelly. Boyyyyy, did they hit a nerve. I refused to eat said sandwich, and was sent to my room. I ended up being so upset about it that I tried to run away. LMAO! I didn’t even bring anything with me, and only got about a mile down our dirt road/driveway before I just sat down and cried.. All I wanted was a tuna sandwich, or anything other than PB&J! Personally, I don’t care for any kind of jelly, jam, marmalade, none of it. Ever. On anything. I think thats the way life is about a bunch of things. Ketchup or Ranch, Mayo or Miracle Whip, Honey Mustard or BBQ.. I’ve noticed over the years youre either into one or the other of all of those. Personally, I know I would choose Ranch dressing over Ketchup for fries, Mayo any day for my sandwich, and definitely Honey Mustard for my nuggets. Some people may think there is no art to making a peanut butter sandwich, of any kind. I will strongly disagree on that one. Too much peanut butter, just gross and overpowering. Too little peanut butter, the sandwich ends up uneven and sometimes dry. You want the perfect mix of ingredients! For a Peanut Butter & Jelly sandwich, I like using a thin layer of pb on one side of the bread, and adding the jelly to the other. Since I don’t like PB&J’s, I have learned over the years that this is usually the most preferred way of enjoying this sandwich, or so say my brother and kid. 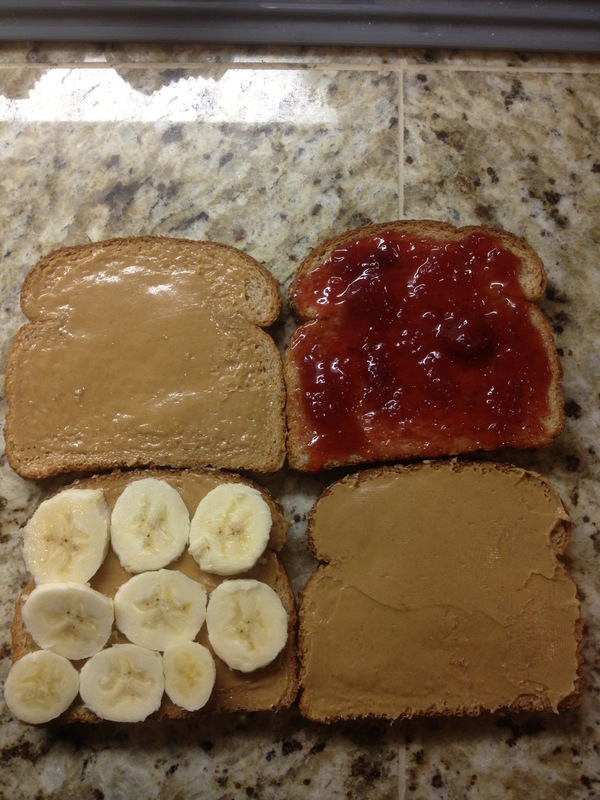 I tend to make my nuntella and peanut butter sandwiches the same way. Sometimes, if Im feeling a little crazy, I add bananas or strawberries also lol! On the other hand, for a peanut butter and banana sandwich, I add peanut butter to both sides of the bread. Since you are getting more banana to peanut butter, in each bite, you have to even that out. I prefer less ripe bananas, they’re meatier and more sweet; which is a nice contrast with the salty peanut butter. Whatever way you like your sandwich, so be it. I think we all forget to eat lunch sometimes, or we just don’t always have time to take a break from work and get something to fuel our minds… Pack yourself a sandwich! It takes 5min to make, and is easy to carry with you. I looked around at some recipes and realized it wouldn’t be hard just to make my own up. Throw whatever I wanted into the caps of a few huge Portobello mushrooms, and roast them! 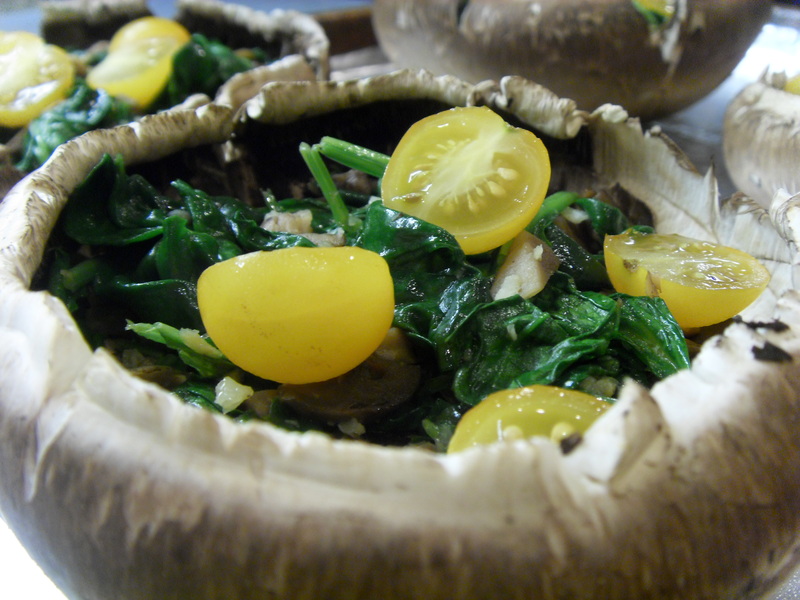 There are so many names for these yummy mushrooms; “portobello”, “portabella”, and “portabello” are all used. Use whatever one you want, or whichever you know how to spell. Spray cooking pan with cooking spray and set aside. Cut up potatoes into about bite size pieces. If you’re using red potatoes cut them in half or fourths, depending on the size. 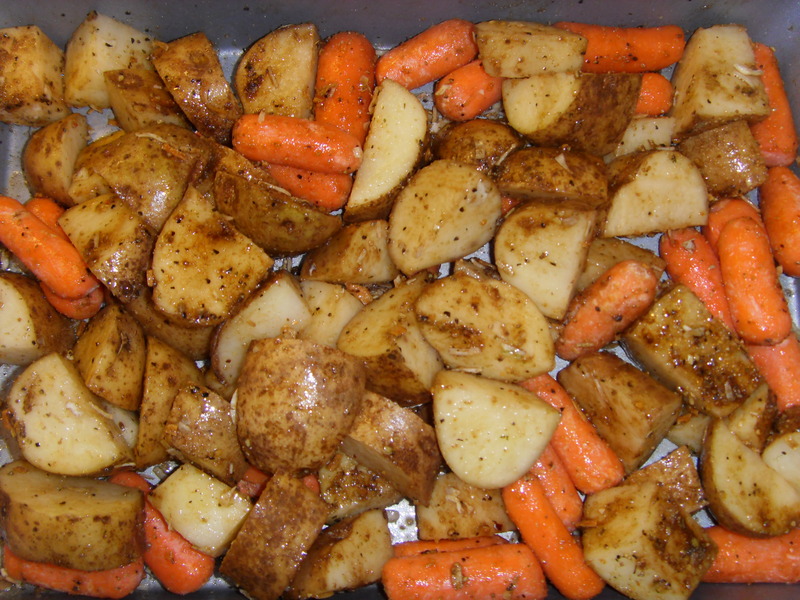 Toss potatoes and whole baby carrots in oil, and then in the lipton soup mix. I know a lot of you aren’t really sure how to season things to make them taste just right, in terms of saltiness etc, so this stuff is a savior. I use this soup mix for a lot of things. 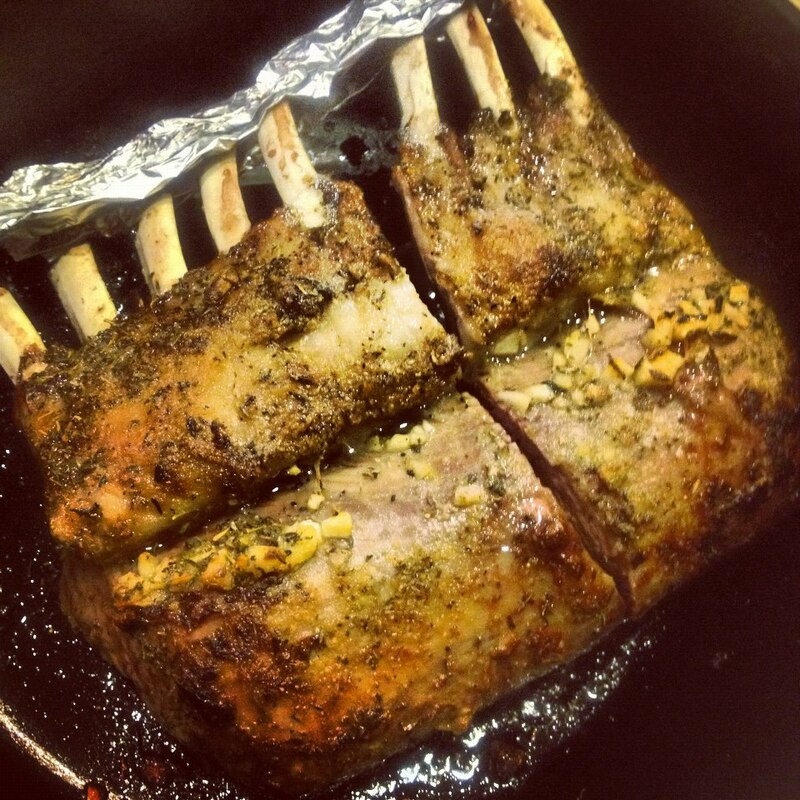 Put the pan in a 425° oven for about 40-50min. 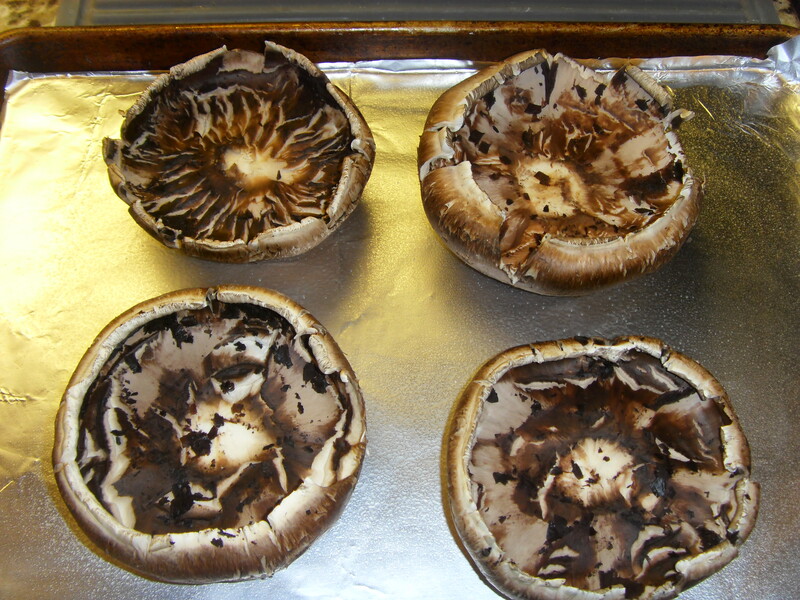 First things first, you’ll want to clean your mushrooms. Take a paper towel, or very lightly damp dish cloth and wipe the outside of the caps off, getting any leftover dirt off of them. 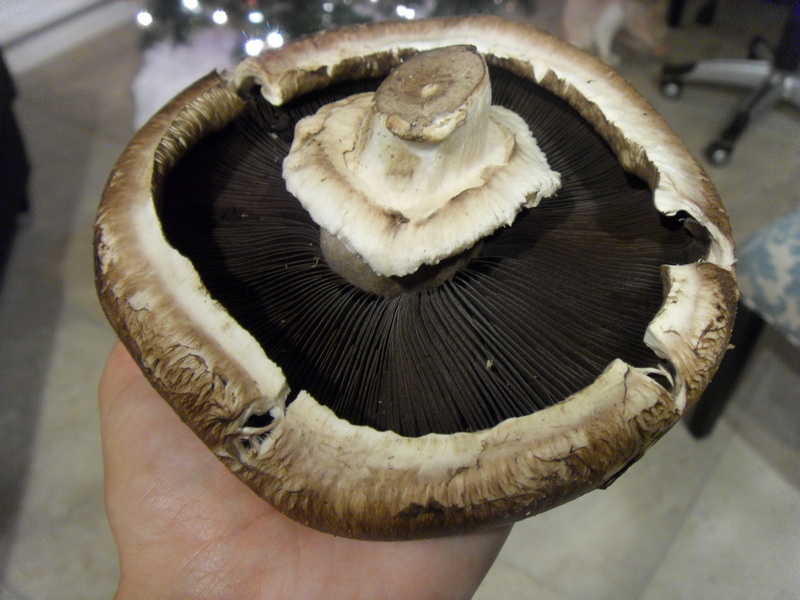 Gently, hold the mushroom upside down in your hand, wiggle the stems off, and set them aside. Then, taking a large spoon, clean out the inside of the mushrooms. I found it best to start in the middle, where the stem used to be, and gently scoop the gills out. 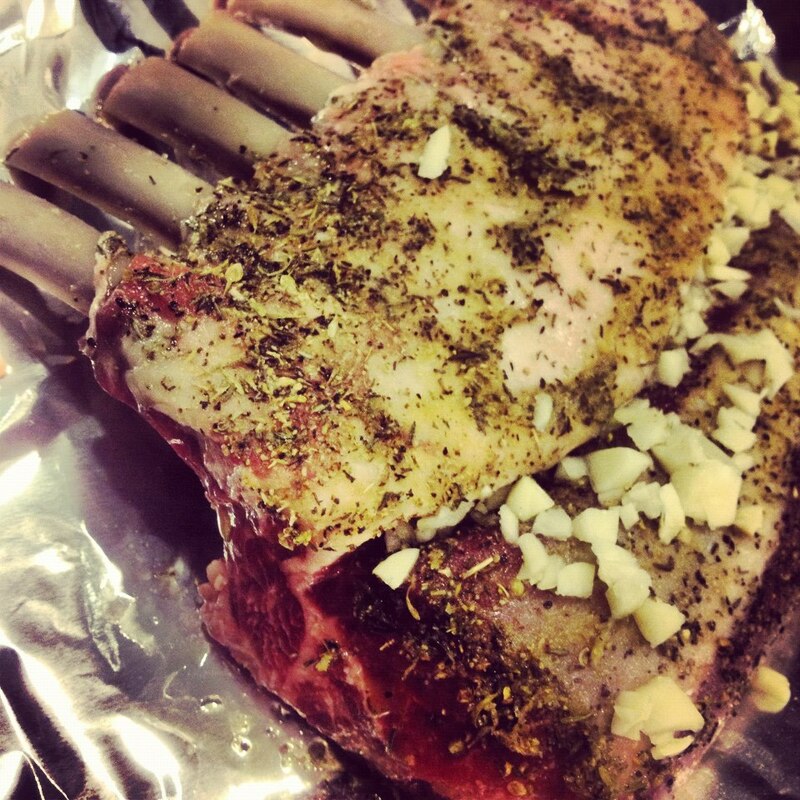 Set them on a sheet pan lined with foil. 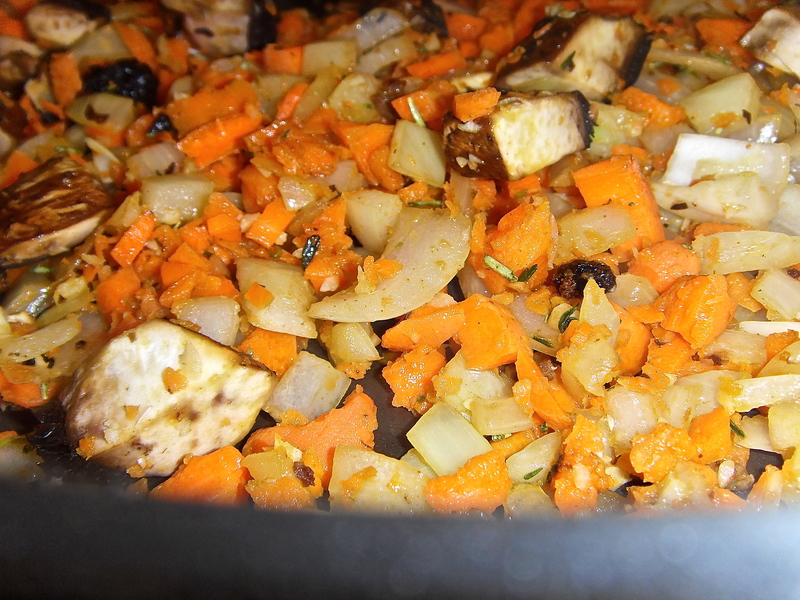 In a small sauté pan, heat 2 tablespoons of oil until it shines and moves easily around the pan. Chop up the garlic as small as you can, then cut up the stems you took out earlier and all it all to the pan with oil. Brown the garlic and mushrooms for about 3min, and then turn down the heat to low. 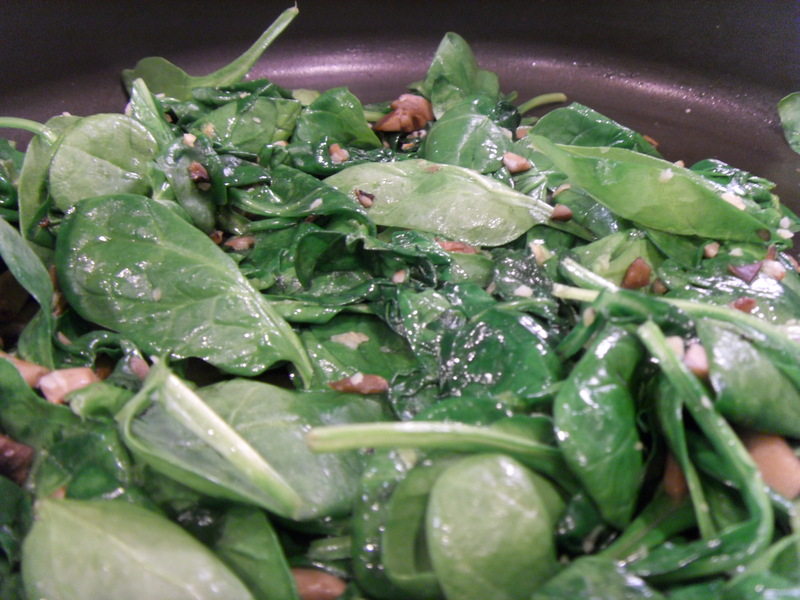 Empty spinach into the pan and let it wilt, stirring all of the ingredients together. I add one bag at a time, so I don’t have my pan overflowing with spinach. It only takes a couple of minutes for it all to wilt down. After you get it all wilted down and mixed together, spoon it into the mushrooms. 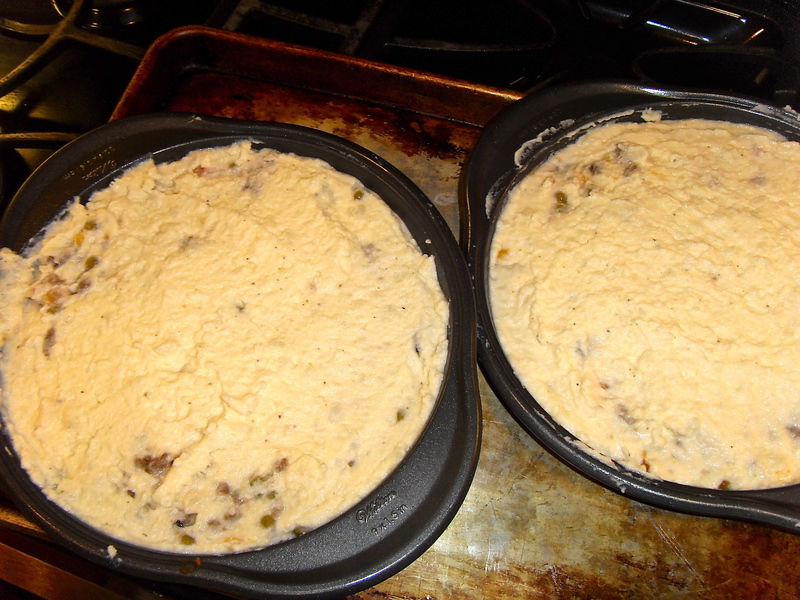 They shouldn’t be overflowing, but just fill to about the rim of the inside, leaving room for the topping. Cut cherry tomatoes in half and add four halves to each. 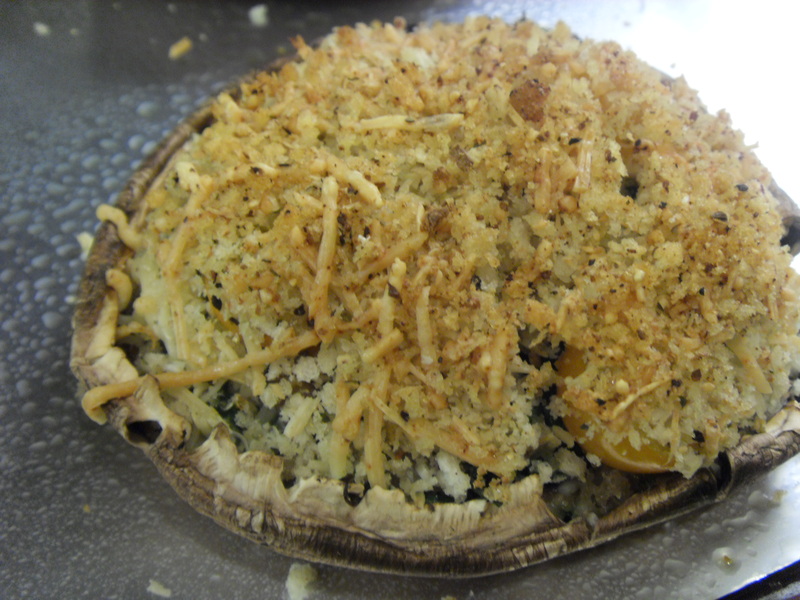 In a small bowl mix together panko and parmesan with the italian seasoning and then add it to the top of each mushroom. Bake in the same oven with potatoes for 20min, or until cheese is melted and panko is browned. I must say, for someone that isn’t a vegetarian, this dish is delicious. So filling and “meaty” because of the mushrooms. 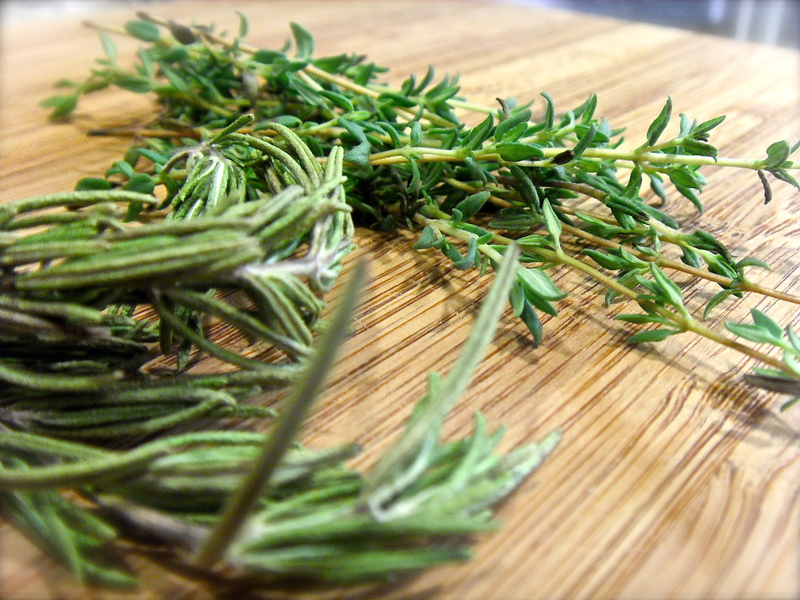 And the flavor is awesome, in both dishes. Definitely something I will make again. 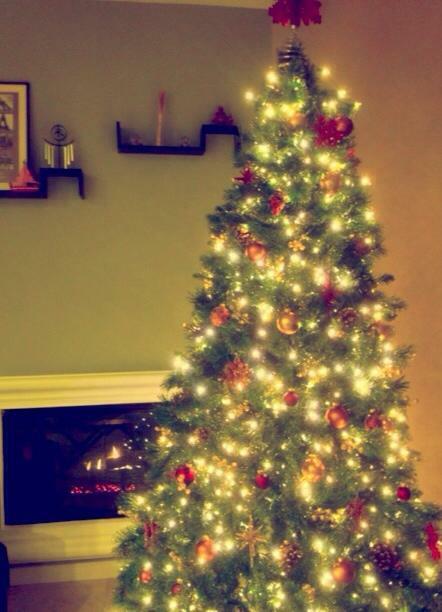 The kid loved it, and the hubs came home early so he got some too! It was a hit all the way around. 🙂 You could definitely make this a vegan recipe by using vegan cheese, or no cheese at all. Another perfect meal in the crockpot! How could anyone not love using a crockpot for things like ribs (when its not bbq season) and roasts? I love it, especially for days that I have so much going on and wont have time to make something really yummy later on. I have always been obsessed with all kinds of asian foods, and my hubs is Filipino, so I decided to try and find some recipes I could make at home to get the same yummy stuff, without having to always go out to eat. I found this recipe for Korean Beef Tacos from a really cool blogger named Tina, and I fell in love. Not only did she post the recipe on my birthday last year, but it turned out AMAZING!! I mean, so amazing – and SO simple. 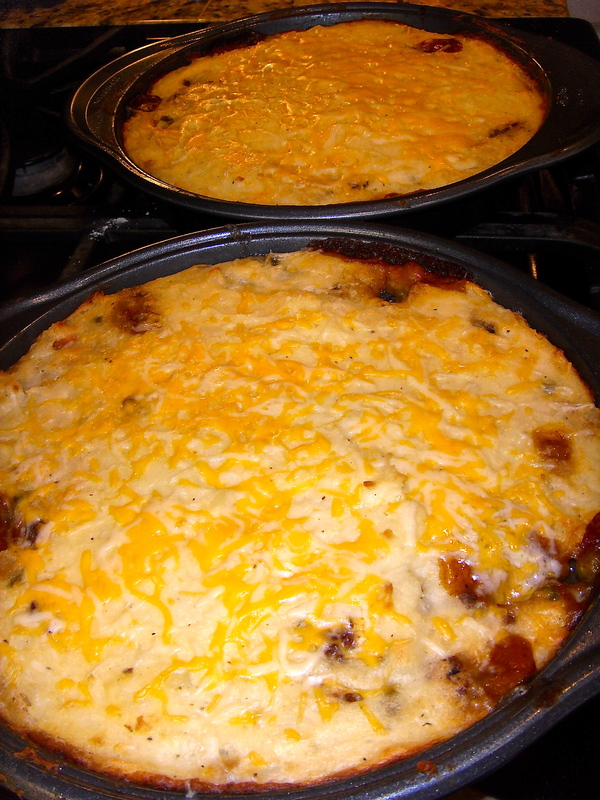 I have made this a couple of times, and have since changed the recipe to fit my family. I don’t make tacos, or the cucumber slaw. PLEASE remember not to salt this dish, as the soy sauce is more than enough salt on its own. When I said this dish is easy, I meant it. You don’t even have to brown the meat or anything. Just rinse it, please. And remember that little food processor I showed you in the Broccoli Cheese Soup recipe? You can either smash the garlic, take the time to chop it up, or invest in a handy dandy little chopper and chop it up that way. After you’ve got the garlic chopped, ingredients measured, and meat rinsed, you can spray your crockpot lightly with cooking spray and put the meat in. 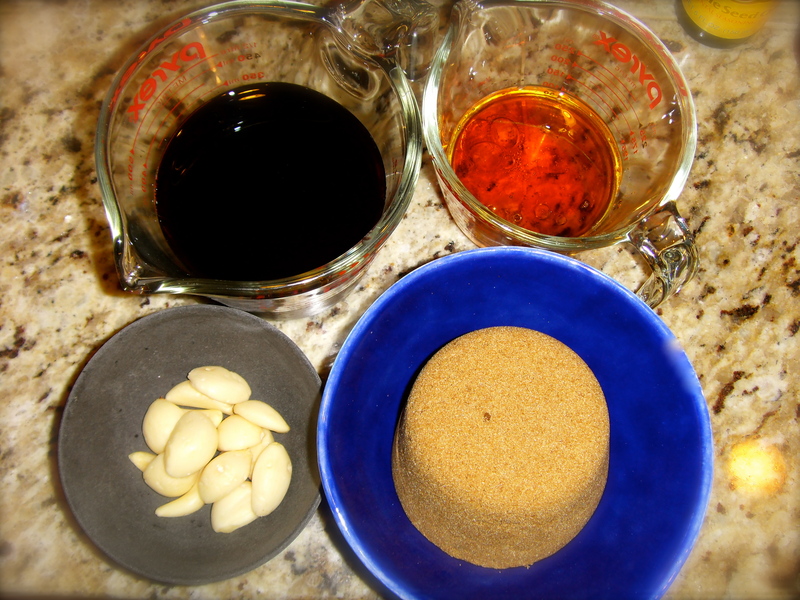 Combine all of the wet and dry ingredients, including garlic, and add them to the pot. If your liquid doesn’t quite cover the ribs, add little water. They will create their own liquid as they cook. After you get it all in the bath, let it cook on low for around 8 hours, or on high for about 5 hours. Low and slow is always the way to go, though. hehe Totally didn’t mean to do that. Anyway.. I always make my ribs with rice and veggies. And duh, I have an awesome rice cooker that the hubs got us! It really is a miracle maker in the kitchen. 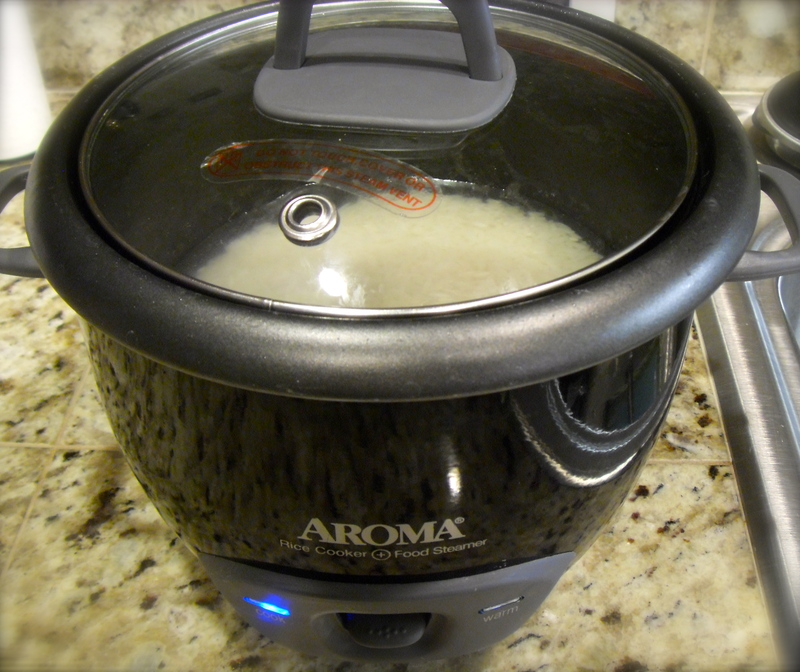 It makes PERFECT rice every time, and for just the 3 of us it makes more than enough. One “serving” is about 2/3 of a cup and feeds 3 people very well, but you can make way more than that in this little thing. 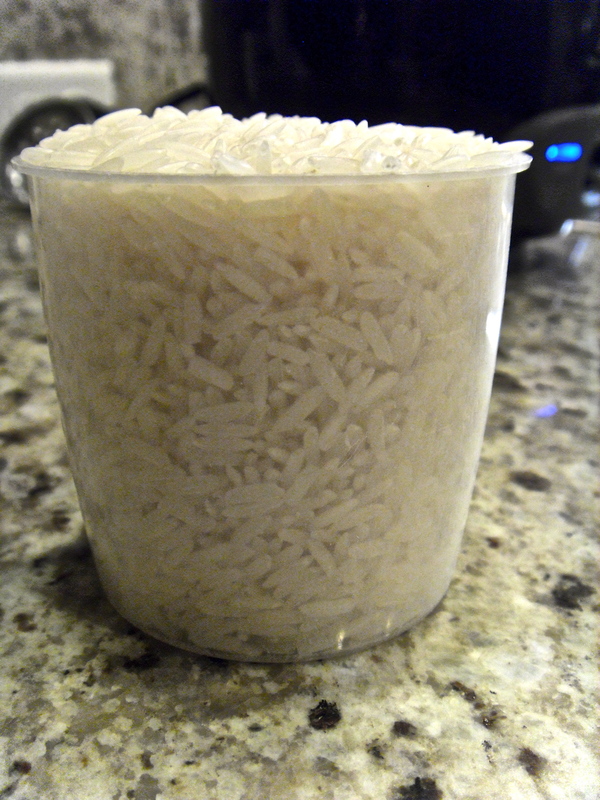 You put the rice in, we use Jasmine, and the correct amount of water, and let it cook. It automatically switches to “warming” once its done. All in all, these ribs are amazing.. For anyone. Even picky eaters. 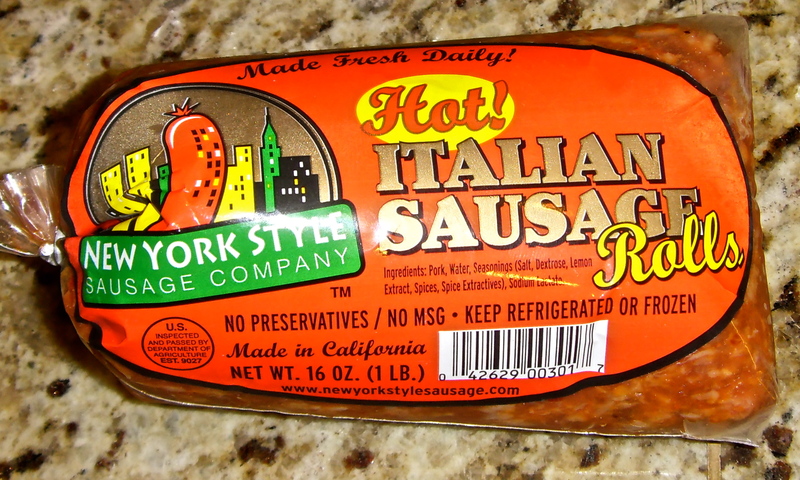 They dont taste super tangy, or spicy, and they come out so freakin tender its crazy. You could totally do the taco thing if thats more appealing to you! I really suggest everyone tries these, they’re perfection.